FotoInsight launches new product idea supporting popular demand to reduce the number of supermarket plastic carrier bags wasted each year. Cambridge, UK. 30 May 2006. – Encouraging customers to use fewer environmentally unfriendly plastic bags has long been a challenge. The UK's largest supermarket chain said this month that it would seek to cut the number of shopping bags it gives to customers by 25% over the next two years. Much more could be achieved by getting people to use their own, durable carrier bags. FotoInsight of Cambridge prints digital photos onto canvas for long lasting carrier bags. Such a reusable photo carrier bag costs £4.99 /€6.99 and is an ideal, personalised and useful present. 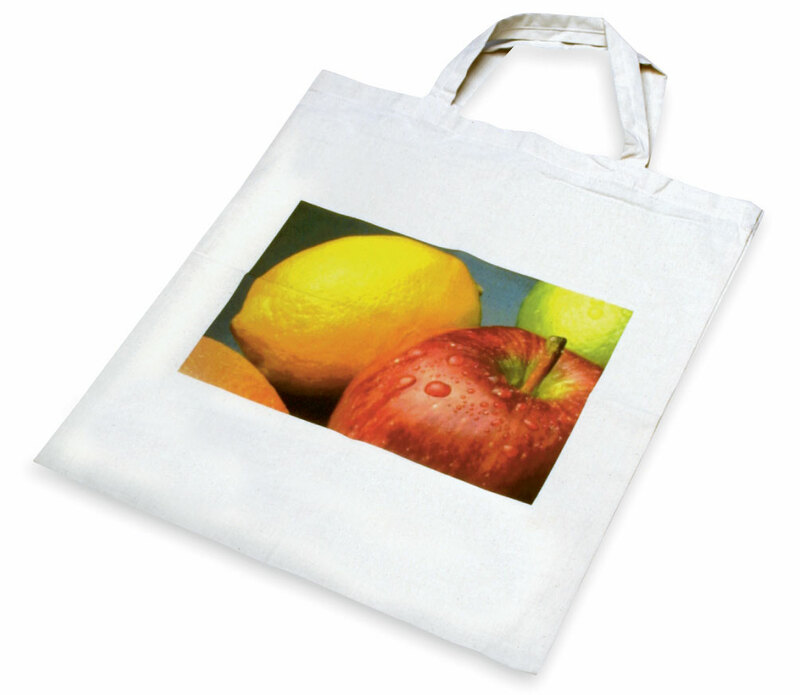 Over the course of its long life the FotoInsight canvas bag helps avoiding thousands of plastic supermarket carriers when used regularly. Why carry a supermarket’s logo when the carrier can feature ones favourite photograph. Every year, an estimated 17.5 billion plastic carrier bags are given away by supermarkets, an average of 290 bags for every person in the UK (Waste Watch). According to “Recycle Now” 80% of shoppers put everything into free carrier bags at the supermarket, using them usually only once. This results in 100,000 tonnes of plastic bags being thrown away – equivalent to the weight of 70,000 mid size cars. Reusable carrier bags are a small contribution, but they certainly help the environment. According to FotoInsight, photographic gift items are an increasingly important part of its online service. The FotoInsight management expects the canvas print tote bag to prove popular not only in light of the recent discussions about global warming, CO2 emissions and land fill but also as a smart, sub £8 /€12 gift idea.